We study birds at Estacion Biologica. Would you like to be a volunteer bird monitoring participant? 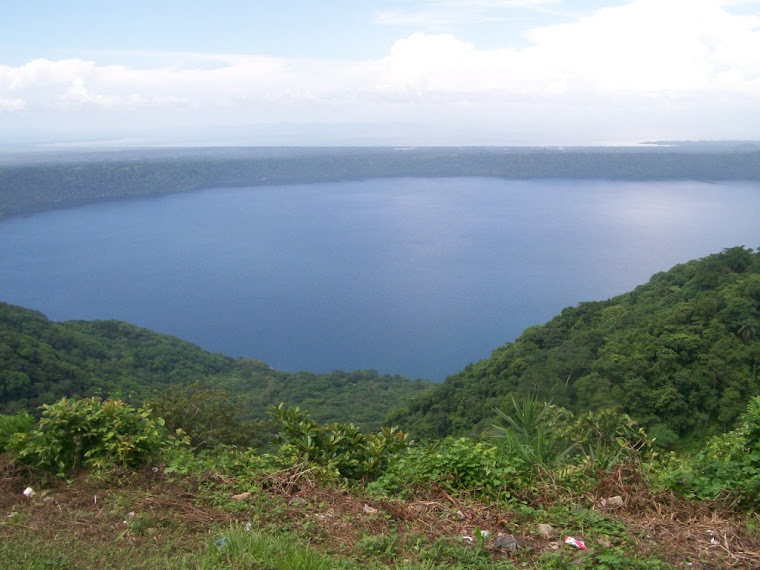 We need volunteers to work with us on monitoring bird populations in Laguna de Apoyo Nature Reserve. Over 225 species of birds have been identified to date in the area. We are conducting field work every month in several locations in the reserve, and we have a large body of data to process, so we can use computer-adept volunteers, too. There is plenty to do for the person who wants to gain experience with birds in Nicaragua. If you would like to participate, please contact us here. ﻿More information on the birds of Laguna de Apoyo Nature Reserve can also be found on our website. 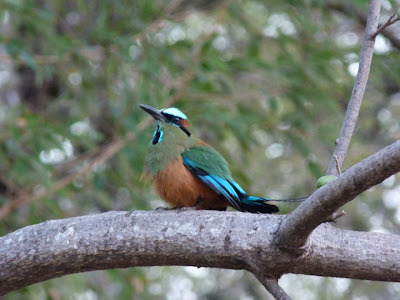 The Turquoise-browed Motmot (Eumomota superciliosa) is frequently observed in our montoring in Laguna de Apoyo Nature Reserve. Photo by Romain De Jaegere. Marlene Kroner inspecting a Blue-tailed Hummingbird (Amazilia cyanura). Photo by Stephan Beekhuis.